SIBO: Hydrogen, Hydrogen Sulfide, or Methane, What Is the Difference? Home → Digestive Health → SIBO: Hydrogen, Hydrogen Sulfide, or Methane, What Is the Difference? Hydrogen dominant bacterial dysbiosis would cause diarrhea. If you are suffering from SIBO and are dealing with diarrhea, read my main SIBO blog entry or my book Fix Your Gut for more information on how to deal with this issue. Imodium – I do not recommend the use of Imodium because it can cause toxin retention and may cause toxic megacolon. Sulfurous or “Rotten Egg” smelling flatulence and defecation. May become stronger with ingestion of sulfurous foods like cruciferous vegetables and eggs. Chronic fatigue syndrome, elevated hydrogen sulfide is toxic to the mitochondria. Brain fog and short term memory loss. Intolerance to sulfur containing foods, supplements, and medications, which increase symptoms. Digestive tract inflammation, irritation, and ulceration. If you have hydrogen sulfide dysbiosis, I would suggest following my upper gut dysbiosis protocol if you are having symptoms of it. Follow the Fix Your Gut SIBO protocol if your symptoms are more located in the small intestine. The mineral bismuth may help bring relief from symptoms by absorbing hydrogen sulfide in the gut and eliminating it from defecation. Taking oral hydroxycobalamin (a form of vitamin B12) can reduce hydrogen sulfide concentrations in the bloodstream and is good for people suffering from low blood pressure. Consuming a diet low in thiols helps reduce hydrogen sulfide production, reducing symptoms. How does archaea dysbiosis further hinder MMC function to the point of chronic constipation? It is more difficult to resolved archaea dysbiosis because they tend to be more antimicrobial-resistant and form thick biofilms.32 Treatment of the dysbiosis might require multiple natural antimicrobial agents, antibiotics, and anti-biofilm agents. Changing your diet to a low FODMAP diet might relieve archaea dysbiosis by limiting the amount of hydrogen they have to metabolize by the lack of carbohydrates hydrogen bacteria have to ferment. Archaea are very hardy and can survive a long time without hydrogen so it might be possible that switching to a low FODMAP diet would also do very little to archaea dysbiosis symptoms. Increasing MMC function during archaea dysbiosis might be one of the most important things one can do to find relief. Exercising – proper regular exercise helps improve migrating motor complex function, especially if you are sedentary. Walking, sprinting, and rebounding on a mini trampoline help motility greatly. If our gut is working correctly different gases are maintained in healthy ratios from fermentation, inhalation, or by digestive processes. If your digestion is healthy nitrogen is found the most, followed by carbon dioxide, hydrogen, oxygen, methane, and hydrogen sulfide. The predominant gases found or produced in the small intestine is nitrogen and carbon dioxide. If increased hydrogen, methane, or hydrogen sulfide gas is produced, you might be suffering from dysbiosis. Follow my commendations above to improve your motility and follow my protocols to relieve dysbiosis to find relief. Thank you so much for your work it has been so valuable to me and many others. I am still trying to get to the bottom of my ongoing gut issues. I am wondering if SIBO or what sort of pathogen or disease could cause both dark orange and white mucus in my stool. I also having burping reflux and intermittent vomiting, abdominal pain the moves but is primarily on the left side. I got a GI map done that showed diantomeba fragilis, a little bit of h. Pylori, high levels of Klebsiella spp., Enterococcus faecium, Firmicutes, Bacteroidetes and i have low Secretory IgA. My kaiser doctor refuses to look at these results and says they are “clinically insignificant.” She just wants me to do a CAT scan, upper and lower endoscopy. Im only 22 and have eaten Perfect Health diet since I was 18. I had diarrhea every day for 6 months, and then i got this test, did herbal anti parasite, and now just have consitpation with mucus. and the other symptoms I mentioned. I have so many food allergies, and I have been on so many antibiotics, 4 years doxycycline for acne, amoxicillin, z packs, so many times. My sister is an MD and i just finished a week of Diflucan because we suspected yeast, but I still have the mucus and random vomiting acid and pain. Please let me know what you think!! thank you!!! You are welcome. It sounds like biofilm to me for sure. The orange is a little weird, it could be from some supplement, food, or bile? I have both IBS-C and SIBO-C with significant muscle/tendon pain, polyneuropathy in feet/hands, many CNS symptoms, lung asthma-like, GI constipation – bloating/pain and more that all come and go based on diet and antibiotic treatment. The antibiotic that yields the best remission of all symptoms for 1 – 4 days and then recurs is Bactrim (Trimethoprim and Sulfamethoxazole). I have no success with Rifaximin + Neomycin or natural cocktails. I have monitored my Gut Microbiota using the Ubiome 16S testing and have recently submitted a Ubiome Plus to get a more detailed look at fungi and other critters. I recently had the GMAP stoll test which is based in part on the Luminex xTG pathogen Panel. I have C. Diff with genes for Toxins A and B, Klebsiella Pn, Citrobactor freundii and Proteus Mirabillis seen on Ubiome and GMAP. No fungi or parasites seen in GMAP but it only looks for a few..
Bactrim is folate synthesis inhibitor which is effective on many bacteria, many fungi and even parasites since folate is a common requirement which is unique among antibiotics. My odd result from Bactrim could be that its effective against my dominant or worst offending overgrowth such as Klebsiella (Rifaximin is only 44% effective) or its not bacteria or Archean but fungi/yeast or an undetected parasite. I suspect there is slowly increasing small intestine damage causing leakage of foods which cause high IgE and allergy symptoms and things like LPS from gram negative bacteria causing cytokines and immune response and other symptoms. The SIBO seems old but the damage has gotten worse leading to severe systemic symptoms. Do you have any thoughts on trying to identify the offending bacteria and selecting a treatment targeted at a specific organism in the case of Rifaximin failure? Have you seen any efforts to dig deeper than gas type produced such as mass spectrometry of ones breath post glucose/lactulose ingestion to match to a set of bacteria? I have a volatile organic compound detector which shows I can fill my bedroom with unknown specific VOC after eating. It does not differentiate a specific VOC but I believe it would not respond to H2 but would to Methane or possibly Hydrogen Sulfide. Hi John, you mentioned Colon Cancer in the Symptoms list. If SIBO isn’t dealt with quickly (1 year) could Colon Cancer or serious health issues develop? I doubt within a year colon cancer could develop, it might be likely if they condition goes on for many, many years, depending on many factors. The type of dysbiosis, inflammation, epigenetics, lifestyle, etc. Do you happen to know which strain of Bacillus produces Hydrogen Sulfide? No wonder I didn’t respond so great to trying a probiotic that had a bunch of Bacillus, I seem to have tons of Hydrogen Sulfide. I do terrible on Sulfur stuff and if I take Pepto Bismol it’s black tongue and stool time. Cannot find any real studies on specific strains? I do use the squatty potty technique–just fyi. Are you using a Squatty Potty and exercising often? I’m hoping you can offer some insight. I was diagnosed with SIBO and am on the third day of my 2 week course of Xifaxan. I read in your article that Hydrogen Sulfide SIBO can exist in the stomach which makes so much sense to me. I have odors which occur immediately after eating certain foods/drinks. They have been described as rotten eggs or sewage. For example, if I eat ice cream or have an alcoholic beverage, an odor instantly emits from my stomach within minutes. I would say like 2 minutes. Then it’s continuous from there. This happens on both a full (after a meal) or empty stomach. It is extremely socially crippling and I’m hoping that the Xifaxan will cure this. What’s odd is I cannot smell it, but people around me ask if I have passed gas. Another odd thing is that when I’m sick with some sort of sinus infection or virus, the odor is completely terrible and room filling – the odor can be smelled from across a room. I wish I was exaggerating, but this is my unfortunate life right now. Lentils, lemon water, certain teas (dandelion root and ginger tea), cheese, and fried foods also have a bad effect. I’ve had an endoscopy with a biopsy done (came back normal), lactose intolerance test (also normal), and the SIBO breath test (positive). I also suffer from constipation and GERD. Hoping for any advice you can offer. Thank you in advance. I forgot to mention that I also always have a white tongue, iron deficiency (regardless of a well iron diet), and a lot of aggressive burping. Sounds like a protozoa infection. I have suffered from severe silent reflux for a year (sore throat every day). My holistic doctor suggested I may have SIBO and sure enough the results came back severe as well. She wanted to put me on rifaximin which I ordered from Great Britain to save $$$. Before it came I read about macro phage therapy and I thought I would give it a try. I used Florassit with GI phage technology and I can’t tell you how much better I am in about 20 days now. Sore throats are nearly gone, I have put on 4 pounds in a week (I had lost 10 lbs. over the year) and BM’s are normal. I’m on the elemental diet for SIBO-C. My ND wants me on the diet for 4 weeks due to high methane count (104 being the highest). Can I take 5-HTP during this diet and would you suggest any other supplements during this 4 week period that might enhance the results? Where can one purchase Daikenchuto? As well as several candida overgrowths. I was put on a candida diet, and have been taking oregano oil, but it hasn’t helped yet (it’s been 1 month), and was just wondering if the bacteria listed could be a SIBO related overgrowth and if so, which one would it be? I am more constipated usually and bloated with gas. Based off of your symptoms you either have a damaged MMC OR the test results were incorrect and you have methane overgrowth. What is an MMC? I have similar symptoms and have candida in my blood test but have not been able to alleviate it thru strict candida protocol and AIP. Just had a SIBO breath test done and am awaiting the results. Im worried it will show nothing and I’ll be back to square one. I have methane dominate very high Baseline and 120 Minutes. I have very chronic d, loose stools bloating pain. What are your thoughts on this? 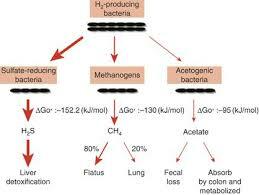 There are few of us in a group that are high methane Baseline, no hydrogen but have chronic diarrhea. I should add that i almost match up exactly with the symptoms you listed for sulfide, except for never constipation or alternating, just always constant diarrhea. Please let me know what your thoughts are here? Does triphala work like ducolax or senna , cascada etc? Or it works to stimulate the mmc subtlely? It should stimulate it more smoothly and should not cause intestinal negative feedback loop like senna or cascada. Hey, thanks for all your the info! I am taking Triphala and plan on taking 5-htp for a short while at bedtime to increase gut motility. How much 5-htp do you suggest? Also, most other SIBO sources list ginger as a prokinetic. Are there sources for this info? I am interested because ginger used to help with BMs, but now seems to do the opposite. Thanks again! Start small with the 5-htp, 50 mg at bedtime. Ginger increases stomach emptying but may slow down the MMC and slow down motility. SO since you have ginger listed as decreasing motility, would it be bad for someone with IBS-C? If it increases gastric emptying, does it also decrease small intestinal motility then? I have IBS-C and use ginger because it helps my stomach empty faster (using about 500 mg four times a day via drops). Would it be wise to stop? And one follow up, what about the fact that domperidone is basically guaranteed to cause hyperprolactinemia, and all of its negative consequences? You are correct, but it is a lot rarer then the issues associated with Reglan. For some people yes, for others it seems to help. As long as it appears the ginger is helping and not causing constipation it should be fine. 5 years ago I was infected with giardia. The infection was not treated for the first 2 years. Then I took multiple antibiotic courses and my stool antibody analyses (taken 2 times) showed that giardia is gone. However, my gut dysbiosis is still untreated. I have mild constipation (I use magnesium to relieve it), bloating and my stool is usually green or dark green. I also have an occassional belching and heartburn. Those symptoms are not severe and aren’t bother me much in daily life. The main problem that I have is insomnia and depression which progresses since I was infected 5 years ago. For the last year it has become more severe, and I have anhedonia, irritability and concentration problems now. I think its due to neurotransmitter imbalances and possible brain shrinkage that was caused by prolonged malabsorption and stress. Last time I visited my gastroenterologist I got diagnosis: IBS with constipation. I took multiple courses of probiotics and prebiotics without success. However, it seems that I sleep better when I take probiotics with lactobacilus. My stool test shows that I have very low lactobacilus level. Everything else is in optimal range. Candida is not found in the stool. I now suspect that I have SIBO-C. Do you think that it can be the cause of my symptoms? The problem is that only breath test for SIBO that is available in my location is hydrogen breath test with lactulose. There is no methane test. Should I take hydrogen-only test if never had diarrhea? I was negatively tested for h.pylori during gastroscopy. I’m planning to take stool test also. I saw you mention egg sensitivity linked with Hydrogen Sulfide SIBO on someone else’s comment. Do you have any more information about this? Is it related to hydrogen SIBO or methane SIBO? Hi, I was diagnosed a couple weeks ago with hydrogen SIBO. I’ve only experienced one episode of intense diarrhea a couple years ago, which was solved with a probiotic. I have always found that I need to stay on top of things in order to have a daily bowel movement. I don’t consider myself constipated, but if I don’t watch what I eat, I will get constipated. My hydrogen levels are at 50ppm after 75 minutes and peaked at 103ppm at 135 minutes. I am now on a two week course of Xifaxan and I’m one week in. I feel terrible. Tired, moody, however, I’m hoping its in part because of the die-off. I’m not pooping right now verb often because my diet consists of meats, fish, eggs, small servings of brown rice+coconut oil, and well cooked veggies. How am I supposed to poop?? Do you recommend a motility supplement? I am seeing a dietician tomorrow and have no idea what to eat right now. I was low FODMAP and that helped, but not a cure. Thanks. Hello! Do you have a specific recommendation for the 5-HTP Supplement? I looked up and Pure encapsulations has a 50mg and a 100mg and thorne has a more affordable 100mg. If you need background or specifics read on. Feel free to ignore if the answer is the same no matter what! I came across your site researching side effects from Prescript Assist. I get painful persistent Bloating and difficult to move gas and constipation from it but seemingly only when I eat eggs. I seem to be fine on eggs and PA except when consumed same day/day after. Something else set me off with extreme gas pain and odor yesterday and it is getting worse so it prompted me to come back to the site for more insight. My ND is having me do stool testing (Not sure but breathe doesn’t seem to be an option) and my symptoms are in line with SIBO and/or FODMAPS. I tested positive to 49 IgG so we have classified me as Leaky Gut. Good levels of everything in blookdwork except testoerone and still bruising easily so I got back on Standard Process FerroFood. I also Take Standard Process Adrenal (bovine), Pure Encapsulations Maca-3, Optimal Health Systems Digestion and am following the AIP diet. Both are brands that I recommend but it all depends on the dosage and I suggest to start with the lowest dose possible first since some people have negative reactions to 5-HTP. Because of your negative reactions to eggs look into possible Hydrogen Sulfide SIBO. I have a question about the 5HT serotonin decreasement. In sibo-D the EC cells are creating too much of this serotonin, and causing diarrea. So motility can be adressed with ginger, pepermint or zofran? But I dont understand why we would slow down the motility? Is the cause of sibo not the damaged cleaning waves in the first place? how could we else get sibo if our motility worked too fast? So do we need a prokenetic too for sibo-d like resolor? Or do we need zofran to slow down things? They can help reduce muscle spasms and contractions that occur in SIBO-D, therefore reducing diarrhea episodes. Menthol also has antimicrobial effects which may help. In SIBO-D motility is sped up, there can be issues with slowing down motility in people with severe gram negative overgrowth. Endotoxin retention may cause toxic megacolon. No, Zofran would be better. I did indeed have Post Infectious IBS as sibo cause from campylobacter. I readed ur link.But it doesnt really explain if we need to increase serotonin or slow down serotonin. Zofran slows it down right? So if motility is broken in small intestine, why do we slow it down with zofran? I did read all the articles about anto bodies against vinculin and CDTB toxin. But its not clear for me if we can manage the broken MMC more with zofran or a prokentic? Thx for taking ur time. You wrote that Ginger speeds up gut emptying and yet also DEcreases gut motility. Those are opposites. Which is it? And you also wrote “Domperidone has the same mechanism of action that metoclopramide does, which is blocking the 5-HT4 receptors” and yet also wrote that Domperidone INcreases gut motility. I thought that blocking 5-HT4 receptors should DEcrease gut motility, shouldn’t it? Changed the wording sorry about that. Ginger increases stomach emptying but slows SI MMC function. The wording was off on the statement as well, went back and fixed it. My issue is that I’ve been vegetarian for a long time and seem to have poor absorption/ constipation – and some accompanying stress problems. A lot of symptoms are similar to adrenal insufficiency and thyroid problems (somewhat like hashimotos, though I don’t seem to have it). I am also really reactive to any estrogen in my diet- have to avoid soy like it is the plague. Your mention of 5HTP seemed really helpful. I’ve been having a hard time staggering these throughout the day. My doc has me taking interfase 2x per day in between meals with candibac. Trying to figure out how /when to take oregano/peppermint oil/// when to take all the herbs/// when to take the lauricidin /// when to take the saccharomyces boulardii and probiotics. I’m also supposed to be taking a bunch of vitamins (zinc, magnesium glucarate, some copper I was deficient in, and 950s). Please help me think about how to schedule this. It is really getting challenging. First, off I suggest that you start to ingest seafood, unless your vegetarianism is religion based. Butter is high in butyrate which is important for mucosial integrity of the intestines. Remember to run everything through your doctor. Good luck! There is no need to recommend fish. The first thing any meat eater does when they come across a vegetarian is to attempt to get them back on flesh. Sea vegetables will be better for iodine, and algal oils will be better for omega-3s. I would ask your doctor about trying triphala and using osmotive laxatives like magnesium and vitamin C orally while staying well hydrated to see if that helps. In addition, not snacking in between meals, eating only three meals, and walking daily may help. Hi Guys, I have sibo-c that results in depression. I assume the depression connection is linked to inability to absorb vitamins and possibly (my theory) the body using up what reserves it has to supply serotonin to the gut resulting in a shortage of what is needed to make serotonin in the brain. The most important part is very high fibre. If I cut out the fibre I feel depressed again it makes a huge difference. I have between 30 and 50 grams of fibre a day. From sweet potatoes, peas, baked beans, high fibre popcorn. I add a lot of spicy sauce to a lot of food which makes it more anti inflammatory and helps keep things moving. I assume it works because all the fibre absorbs a lot of gas and keeps things moving. I don’t have any wind at all when I’m strict on the diet. I’m hoping for a more permanent cure because it only takes a couple of fried meals or large helpings of sweets and my depression comes back and it takes about a week for it to come back. I recommend The Inflammation Free Diet Plan for helping sticking to an anti-inflammatory diet. I have a question myself. Has anyone tried allicin garlic extract or oregano oil as both are shown to reduce methanogens? Generally, alicin, oregano oil, and neem work the best against archaea. Spicy foods activate TRPV-1 allowing more water to enter the intestinal tract, you have to be careful with this though. In some people this can worsen leaky gut. Maybe try some GOS to increase Lacto and Bifido. There are some probiotics that increase serotonin in the gut. Try AOR “advanced series probiotic-3” (good strains of strep and clostridium) and Mutaflor (good E. Coli, available from Canada). I don’t know why its all the scary sounding things that make serotonin, but it works for my daughter and husband. Will l-tryptophan supplements increase serotonin levels in the gut/ intestinal motility? Yes, but not as well as 5-HTP because some is lost during the conversion to serotonin and 5-HTP is one less step. In your book you recommend ginger to increase motility, but here you only recommend for IBS-D. Can you clarify? Ginger increases gastric motility but appears to slow down small intestine MMC function due to being a 5-ht3 antagonist the same way the medication Zofran works on the intestines. The book is behind my blog in some aspects and will eventually be updated to a 3rd edition. Why does ginger help so many with constipation then? Because everything is not set in stone, what may work for some will not for others and vice versa. I have coached a lot of people where ginger did very little for their constipation. The 2nd edition is on Kindle. If you have already downloaded the first edition you should be able to either update it or delete the current edition and redownload the new one. what about some research about detoxifying natural juices and immune-system boosters? at wits end here, with sibo, doing research, never finding a real solution bec. every time I think I’ve found it, it involves taking something that aggravates symptoms, for example, you rec. seratonin increase in the gut, but the caveat is don’t do it if you have mental health issues (I have depression & panic attacks directly related to sibo & histamine & other food intolerances). There’s always a caveat, always a problem that comes with the so-called solution. I can eat almost nothing now, suffer from frequent depression, lethargy, & just plain don’t feel well enough to care abt hardly anything on my worse days. I’ve eliminated fodmaps. histamines, gluten, dairy, nuts, seeds, legumes, processed meats, nightshades, etc., etc. guess what–nothing left! I had hope for ozone treatments, but now they sound like just another problem. I give up! Your situation sounds similar to mine. GAPS diet gave me huge histamine problems which nearly destroyed me. Have you looked into improving your methylation status to metabolise hisamine better? Methionine, P5P, vit c (and possibly methylfolate and methylcobalamin MAY help you). Also, if you have a build up of aldehyde in your system (candida toxin) your ability to metabolise histamine will be blocked. Vit b1, b2 & b3 are important to metabolise aldehyde although care needs to be taken with b3 (niacin) if you’re depressed because it can make it worse in some people. Check out mthfr.net for histamine intolerance article.